A total of 8 double pane windows were installed. One of the windows did not insulate the heat & apparently did not have the "argon" gas in it. The company replaced with no problems. Mark was very professional & helpful on items unrelated to the insulation of the windows. I would not hestitate to use their services again. CRO converted our screen room to a sunroom. The screen room beams and various other framing had developed wood-rot over the years, primarily because there was no gutter, so rain water ran directly down the wood framing & screening. We initially intended to merely replace the rotted wood & install a gutter, but because we enjoyed the view from that room, we decided to convert it to a sunroom with impact-resistant windows & airconditioning so we could comfortably spend more time there. CRO replaced all of the rotted beams & framing with new wood, then installed a vaporbarrier, fiber glass insulation, electrical switches & outlets, outside light for the yard, full-view fiber glass impact resistant door with screen door & entry lamp & a 6'x3' pressure treated wood landing & steps outside the entry door from the yard. The room, approximately 400 sq. ft., was then completely enclosed, wall-to-wall, with double pane, heat reflective, hurricane laminated impact glass windows (9 windows, approximately 4'x6' ea.). The entire project was then painted, inside & out, with colors complimenting those in our home. What 2 months ago was an ugly embarrassment is now a beautiful addition to our home. 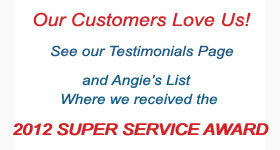 Mark and his team were prompt, professional, and their workmanship was excellent. The scheduling was delayed due delivery delays with the door and weather. To ensure completion of the job in a timely manner, the painter, Adam worked long hours and weekend. The entire team kept the work area very clean and ensure my little dogs were not stressed out or in the area under construction. Creative Remodeling removed my old siding, replaced all windows & the front door. They discovered termite damage at the front of the house(kitchen windows - 3 total). I have coverage thru Truly Nolan and I requested that Creative Remodeling do the repair work. They agreed and Creative repaired the frame work ASAP and continued. The workmen were there every single day by 6:45am and worked non-stop. Greg Clay(foreman), Richard, Bill, Gary, Brian(my sales man) & Adam(painter) & the owner Mark(who was my first contact) were 200%! I was amazed by their work ethic - every single one of them. The quality of their work is at the highest level. I have to say that I have never before experienced this kind of consistency in a company. Each and every one of them did their very best. I am so pleased with the final results. My neighbors have been calling me for days telling me how nice the house looks. I had two neighbors say how hard the guys were working and how nice they were when they came by on a walk and asked questions. I would be happy to have anyone who is shopping, call me for a reference. 200% Satisified! 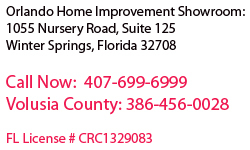 The employees at Creative Remodeling of Orlando did an exceptional job remodeling our master bathroom. All the craftsmanship was performed to a very high standard. The counter top fits on top of the vanity "like a glove" and the drawers open and close without any problems. I would absolutely recommend this company to anyone looking for quality outcomes. Removed old siding and installed new Hardi board siding and painted. Mark McGrath, the owner, came to my home and walk around the house and explained everything they do. He then provided an estimate just a few days later. The estimate was on the high side in the event plywood would need to be purchased as a backer. This was not necessary and the price was reduced. Everything that was explained was done to the letter. The entire job went flawlessly and it looks fantastic. Removed existing cedar siding and installed hardie vapor barrier and lap siding. Work was completed professionally and timely. The entire experience was wonderful. This was a huge project for us. We had been looking at removing the old wood logs on the exterior of the home for a couple years. The front of our home is frame, as is the upstairs. The remainder of the house is block. We had old wood windows that were in terrible shape. We decided it would be best to remove all the siding (which was only on teh frame portion of the home) and replace the windows at the same time that way it would be like a new construction type of situation, which I feel is the best and most weather resistant type of install. We had several quotes for both siding and windows. Frankly, there was so much information out there (especially on windows) that it was paralysis by analysis. In the end we went with Aluminum Clad Jeld Wen Siteline EX windows from Southern Window Design and with James Hardie siding, trim, weather barrier from Creative Remodeling. 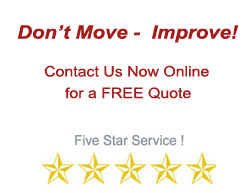 The Creative Remodeling quote process was handled by Brian, who was wonderful. I received bids from the Certainteed recommended installer, a fully independent contractor and from Creative Remodeling, who is the James Hardie preferred remodeler for the area. Creative Remodeling's quote was in the ball park, but slightly higher than the independent contractor. When I asked Brian to go over the quote with me he identified a number of things that he felt made his quote a better fit for our needs. He did so without bad mouthing the other contractor which I found very refershing. In the end, we just felt more comfortable with Brian and with their very, very extensive experience with the Hardie products. The exterior of your home needs to look good and keep mother nature out and the details that Brian explained about the various trim carpentry methods and flashing methods made me feel as though Creative Remodeling were experts and would take as much care in working on my home as I, myself, would. Creative Remodeling also does windows but they were happy to work with our window contractor on timing and the two crews seemed to have no problems getting things coordinated. The project itself took two weeks, just as Brian said it would. Greg was our foreperson and he was a pleasure to deal with on a daily basis. He would answer as many questions as my wife and I could throw at him and he always seemed genuinely interested in our thoughts, comments, feedback. The rest of the crew was wonderful too. I am not sure if they stuck with it but several had just quit smoking a couple weeks before our project and with two small children around, it was nice to not deal with the smoke, odor and cigarette butts. So if the workers read this review - KEEP IT UP!!! In the end, all I can say is that each person needs to make the decision that they are comfortable with. For us, that was Creative Remodeling. I personally like to work on my house myself, so I obsessed over this decision for months and months. As I mentioned, this project, along with $10,000 in windows was a huge investment for us, both emotionally and financially. Creative Remodeling understood that and treated the project like it was important to them, too. For that, we are so very thankful. If you have siding needs, I think you should give them a shot. Complete replacement of 31 windows and one sliding glass door with double paned, energy efficiient, tilt in wondows. The work crew showed up when expected, went about their work with total efficeincy. There was not one cross word amoung the crew,, when they ran into a problem they went about making it work without compalining about the salesman, company or any one else. Having dealt with many workmen during the years, this crew ranks up with the best. They cleaned up and took all the old windows and packaging from the new windows with them, vacuumed the rugs and floors. They finished the work in the time promised. When I had a problem with one of the windows, they sent someone out to help me and explain what happened and how to fix it, if it happens again. I feel very pleased we made the right decision to go with this company, I recommend them heartlly. The contractor responded quickly to my request for a quote. He came to my house and we discussed the details of what I would like done. He was very helpful with suggestions for the replacement doors and was very knowledgeable about possible problems that might be encountered with building codes and permitting. I was happy with the quote and paid a small deposit. Permits were obtained and the doors were ordered. The installers arrived promptly and installed the doors. They did a great job and removed all trash and cleaned up when they were finished. We were served by Brian Hoover who was professional and over saw the patio construction. The patio was built in two days and was constructed of quality material and handled by a professional team who took care of the building, clean up, and answered all our questions. The price was fair and the quality was excellent. It was not too good to be true, it was just a good deal at a good price. I hope to accomplish more work using Creative Remodeling in the future. They were very good to work with. I liked them. Their workmanship was really good. They were very flexible on the schedule that we needed. They were pretty responsive. The only complaint I would have would be that at the very end of everything, there was one item that we wanted to be resolved and never got it resolved but it wasn’t a big deal. The workers were excellent. They really knew their stuff. Everybody was licensed and that was one of the things that we liked. When Mark McGrath, the owner first stepped out, the first thing he showed us was the license. He was really straightforward with it all; it was really nice. We didn’t really shop around regarding the price; we weren’t unhappy with it. The quality of their work is good. The siding looks beautiful. We love it. We would use them again in the future if needed. Project from start to finish was organized and punctual; workmanship was excellent; minor details and complaints taken care of quickly. All members of the team seemed genuinely interested in doing an exemplary job. This company is the best!. They were professional from start to finish. I would highly recommend them to anyone looking for work. The salesman was prompt and extremely helpful, Brian was the best. After the estimate we went to the office and spoke to the owner who was also extremely helpful. The installers were prompt, courteous and expertly installed our windows. I have been through extensive renovations to our home and these were the best installers I have ever had the pleasure of having in my home. Creative Remodeling was selected because owner Mark McGrath took the time to explain all aspects of the job and answered all my questions. Mark McGrath is also a registered and certified general contractor. My wife and I also visited Mark's show room to discuss and select the windows and type of Hardie siding that would be used in the job. Mark was engaged from start to finish of the job. Mark's team arrived on time each day (3 days), cleaned up at job completion and the crew answered any of my questions as they came up. Mark contacted me several times each day sometimes via phone, but most cases with a personal visit(s). At one check point I was not happy with some minor caulking on 2 of the windows and Mark had the minor concern corrected pronto. We are very satisfied with how Creative Remodeling worked on our house and I can highly recommend Mark and his company for installation of quality windows and Hardie plank siding. Creative Remodeling is also highly rated on another online rating service, where I found Creative Remodeling. Creative Remodeling should be one of the contractors you contact for a quote for window and siding projects.